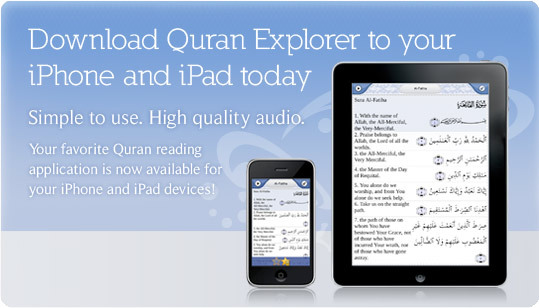 Here you can download Qur'an to your PC, Mac, iPad and iPhone. Download Free Translations of Quran in the language, you understand the best. Qur'an is the word of God revealed to the final prophet Mohammed (peace be upon him). The Holy Qur'an is the last instruction manual from God to the humanity. Quran Download Instructions: At first Right Click on the flag or the language title and then click Save Targets/ Save link As. For Qur'an Translations, click here. For Qur'an Recitations, click here. Download from the links above. Open the EXE file. Open the DMG file. Run through the setup. Drag the Zekr application to the Applications Folder. with Mac OS X 10.4.11 or less, click here. You can download the original Arabic text in a beautiful flash format from the following image link.